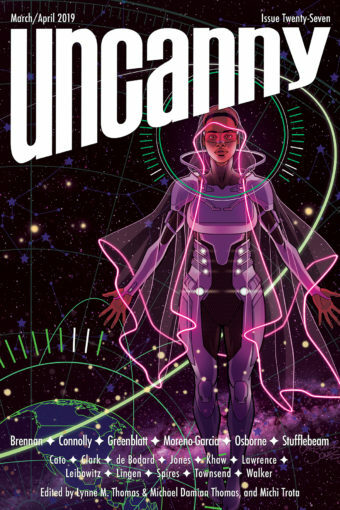 First, please read Kat Howard’s phenomenal “Translatio Corporis” from Uncanny Magazine Issue 3 (or listen to Amal El-Mohtar read it on the Uncanny Magazine Podcast 3A). 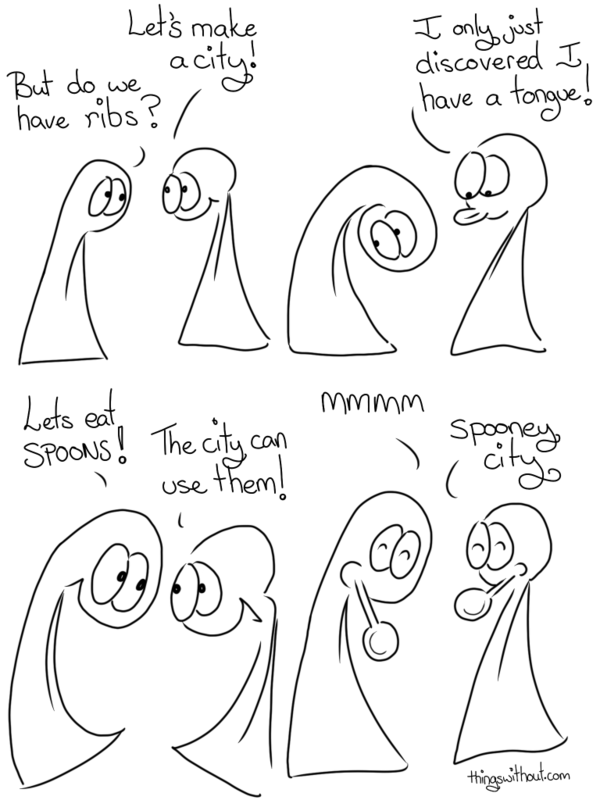 Future Uncanny Magazine author Liz Argall is the creator of the charming webcomic Things Without Arms and Without Legs: A Comic about Creatures Who Are Kind. Liz enjoyed “Translatio Corporis” so much, she created some fan art for the story, starring her webcomic creations. This pretty much made everybody’s day when we saw it. SPOILERS FOR “Translatio Corporis” BELOW!